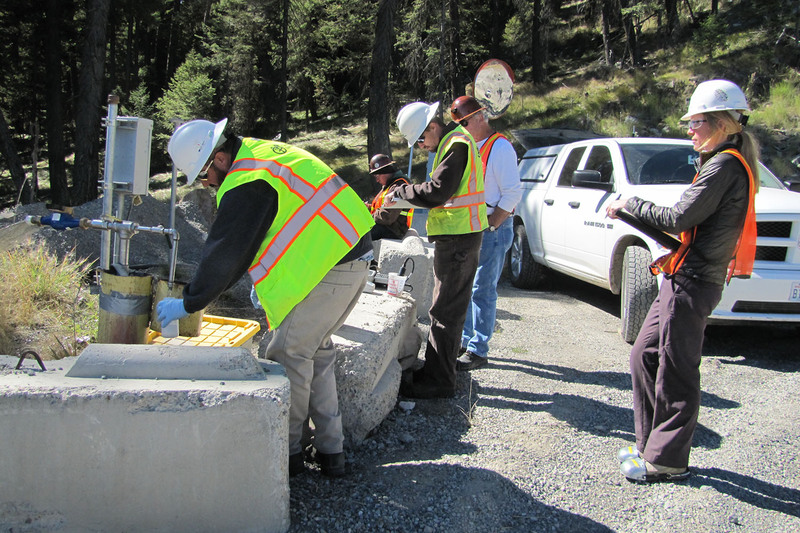 The Buckhorn Mine discharge permit provides the requirements for appropriate management of water quality, including various plans that must be implemented. The plans are linked and establish the framework for understanding whether the mine is meeting its goals and requirements. The Adaptive Management Plan outlines how the mine can attain compliance. The Hydrologic Monitoring Plan describes how the water quality should be monitored, and the Hydrologic Closure Plan establishes the closure process and benchmarks to confirm when closure is completed. The Buckhorn Mine Hydrologic Closure Plan (Closure Plan) was approved by Ecology in May 2018. However, interpreting the Closure Plan requires analyzing numerous other documents that are not readily available to the public, including the Adaptive Management Plan, the Hydrologic Monitoring Plan, and the Environmental Protection and Performance Security bond. OHA has prepared several memoranda and letters addressing this final Closure Plan and earlier versions. A Closure Adaptive Management Plan, which does not currently exist, is needed as a replacement for the existing operational Adaptive Management Plan. The most recent monitoring plan was submitted in September 2016 and does not address monitoring during closure. The Buckhorn Closure Plan and related monitoring and management plans were required by the 2014 discharge permit. OHA has significant concerns regarding the lack of specific monitoring criteria for transition benchmarks and contingencies. The plans are the contracts between the State of Washington and a transnational corporation. The details should not be left to an agreement or handshake between individuals. People change jobs and verbal agreements do not last over time. Ecology should require specific criteria in the Closure Plan to ensure protection of the environment beyond the tenure of individual staff. Ecology must clearly express its expectations in writing with specific details and deadlines. A complete Closure Plan was required by the discharge permit and although Ecology has approved the Closure Plan, it is not complete. However, to understand whether the mine closure goals and requirements are being met, an Adaptive Management Plan for closure and the Hydrologic Monitoring Plan for closure are also needed. Of the three plans, only the Closure Plan has been approved. The associated plans are critical for attaining compliance by describing specific monitoring criteria, benchmarks for transitioning from one phase of closure to another, as well as adaptive management actions for issues that will inevitably arise. At the end of closure, dewatering will stop, and the capture zone will no longer exist. When that occurs, Ecology should be clear that all water on the site, including areas inside the former capture zone, will be required to meet discharge permit limits. The requirement should be consistent through the Closure Plan, the Closure Adaptive Management Plan and the Monitoring Plan, and any subsequent revisions of the discharge permit. The primary closure activity is recirculation of treated water through the underground mine areas. The water treatment plant is planned to be removed after Phase 2 of closure. However, the criteria used to trigger the end of each phase are vague, and the Closure Plan simply states that the management closure work “will be coordinated with Ecology.” Given the turnover at Crown and Ecology over the last 10 years, and considering that closure and post-closure could last for well over 30 years, it is imperative that the criteria are explicit and measurable. For example, the length of time that the compliance locations must meet discharge permit limits is not specified in the Closure Plan. The criteria for transitioning between closure phases should be clearly described in the closure Adaptive Management Plan and referred to explicitly in the discharge permit. The post-closure monitoring should continue until water quality has been maintained at relevant discharge permit limits for at least ten years. Post-closure needs its own adaptive management requirements. The Closure Adaptive Management Plan should similarly include contingencies; for example, if post-closure water quality changes and does not meet permit limits, then the ten-year timeframe would start over once permit limits are met again. If this contingency is triggered during post-closure, it is important that the Closure Adaptive Management Plan contain options for water treatment that could be activated. The goal of closure should be to have the entire mine site meet permit limits. Before mining began, an operational Adaptive Management Plan was designed to determine if water quality predictions were accurate and what actions might be needed if they were not. Mine operations have ceased, and we know that mine contamination is still escaping into the environment. Adaptive management is needed to determine if mitigation actions are effective in reducing and/or eliminating mine contaminants that escape, and if not what additional actions should be implemented to maintain the capture zone during closure. In addition, adaptive management is needed to determine when the mine would transition between closure and post-closure. 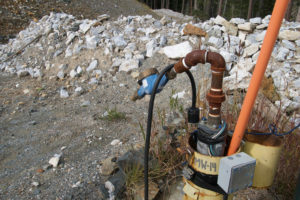 This critical juncture would mark when the water recirculation and treatment system facilities are no longer needed and when the area where the mine was located must comply with permit standards. The plans should include precisely what would happen if water quality degrades during the five spring freshets after recirculation of mine water has stopped and the treatment facilities are still intact. Adaptive management is also needed to determine if monitoring shows that permit limits are maintained during post closure, with appropriate actions if they are not. The most recent Adaptive Management Plan was submitted by Crown in 2016, but it was not approved by Ecology and contains many deficiencies. Prior to the 2016 plan, Crown also submitted Adaptive Management Plans in 2014 and 2015, and neither of these versions were accepted by Ecology. Minor changes to the Adaptive Management Plan were made in the 2016 in response to an Administrative Order issued by Ecology. It has been over a year since mining activity ceased, and a Closure Adaptive Management Plan is needed. Although some compliance monitoring locations have seen decreased concentrations of mine contaminants recently, nearly all locations that have exceeded permit limits in the past still exceed permit limits – even with the mitigation measures put in place by Crown. The Closure Adaptive Management Plan should make it clear that monthly monitoring data should be compared to the discharge permit limits. The exceedence of permit limits shows that the capture zone is not containing all mine-influenced water. Based on the ongoing exceedences of permit limits at compliance monitoring locations, a new approach is needed for the Closure Adaptive Management Plan, especially for water quality. An adaptive management element should be added that evaluates the effectiveness of mitigation measures implemented during closure and post-closure, including but not limited to the stormwater collection ditches, the recirculation in the underground workings, and modifying or adding dewatering wells. The original (2006) and the most recent (2016) Adaptive Management Plan for water quality have only three phases of adaptive management: early action, intermediate action, and implementation. Neither plan version includes an evaluation of the effectiveness the mitigation measures implemented, and Ecology should require Crown to add this important fourth element. An approvable Hydrologic Monitoring Plan (Monitoring Plan) was required by the 2014 discharge permit. The Monitoring Plan that was submitted was never approved by Ecology because it lacked specificity, especially regarding closure and post-closure. A Closure Monitoring Plan is needed to provide the basis for closure and post-closure adaptive management. The 2016 Monitoring Plan only applies to mine operations — not monitoring during closure or post-closure. Closure or post-closure monitoring was included in the 2007 and 2009 Monitoring Plans but was removed from the 2014 plan without Ecology’s approval. A Monitoring Plan specifically designed for closure should be immediately required. The Closure Monitoring Plan should include descriptions of hydrologic and water quality monitoring, including parameters, frequency, and locations, during closure and post-closure periods. Monthly monitoring should continue throughout the closure period. It is important to maintain monthly monitoring for all current compliance monitoring locations as well as monitoring inside the capture zone during closure. Additional monitoring is needed. Including all of these points would allow for a more complete evaluation of whether the transition from closure to post-closure conditions has been attained, and whether water treatment is no longer needed. While the surface of the mine is beginning to heal, closure may take a long time. Water quality poses the greatest challenge in closing the mine.